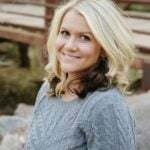 I’m beyond thrilled to tell you guys about my newest partnership! I’ve teamed up with General Mills, (Big G Cereals) to showcase the new fruitier taste of Trix cereal! That silly rabbit is celebrating 60 years as well as a brand new fruitier flavor, so I thought what better way to celebrate than with a big bowl of Fruity Trix Popcorn!? You guys! This popcorn is super addictive. 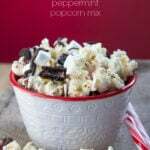 I covered the popcorn and Trix with a candy coating made extra flavorful by adding in a fruit flavored gelatin mix. 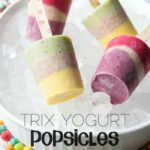 It’s actually super easy to make this fun and colorful treat, and it’s also completely customizable too! I used a lime, berry blue and a raspberry flavored gelatin mix to create a fun and fruity treat, but feel free to use any flavor (or color) that you desire. This would be perfect for coordinating a special treat for a themed party don’t you think? Did you know that Trix contains NO HFCS, and the first ingredient is always Whole Grain Corn? I had a friend over at my house the other day and we started talking about the cereal that we buy for our kids. I told her how much I love how ALL of Big G Cereals have whole grains as their first ingredient and she was shocked. She didn’t know that! Did you know that? Next week I’ll be sharing another fun and fruity Trix inspired treat along with a Trix Party Giveaway!! 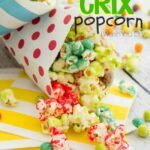 So be sure to grab a couple boxes of the new fruitier tasting Trix, make this popcorn mix, and get ready for another great recipe! 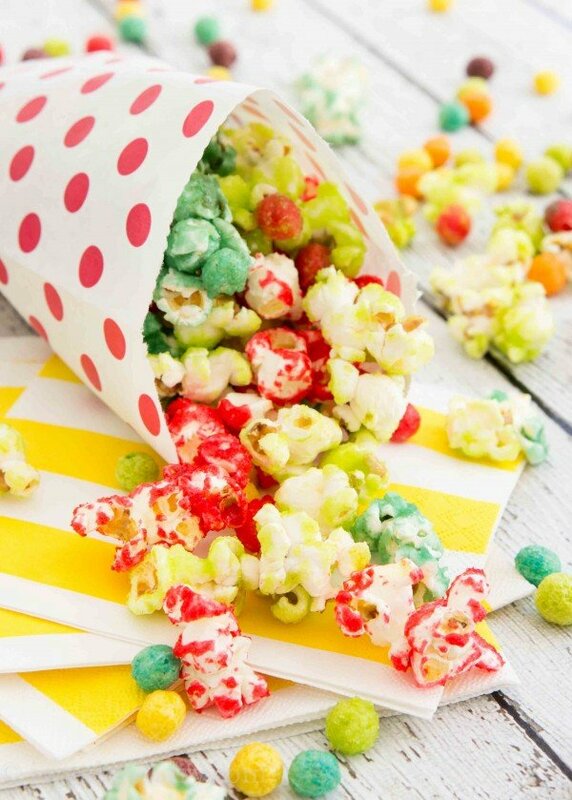 Fruity Trix Popcorn is a fun colorful treat that is delicious and easily customizable! 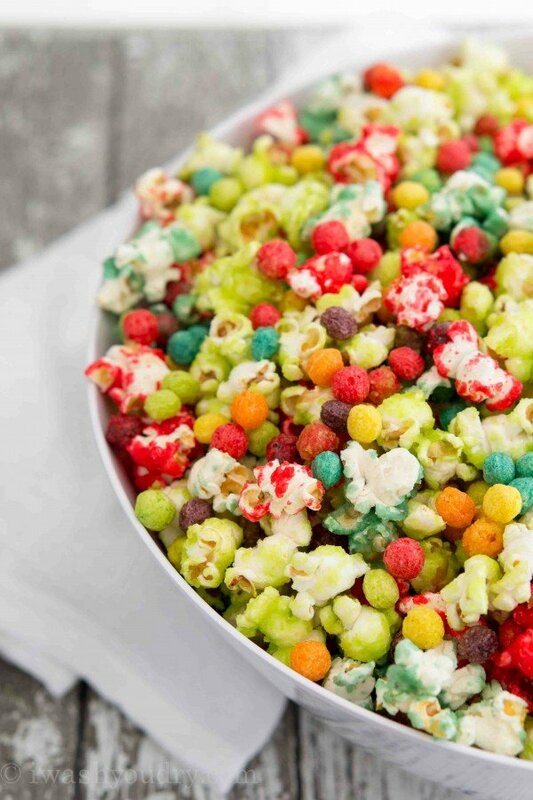 Combine 8 cups of popcorn with 2 cups of Trix Cereal in a large bowl, set aside. In a small saucepan heat ¼ cup of butter with ¼ cup of honey until the butter is melted. Add ½ cup of sugar and 1 package of fruit flavored gelatin. Bring to a boil and then simmer for 3 minutes. 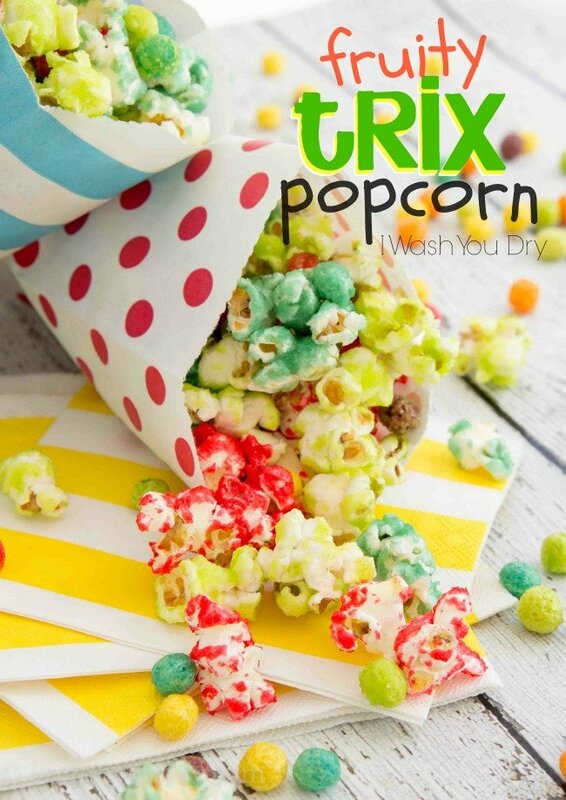 Pour mixture over popcorn and Trix and stir to coat evenly. Pour onto parchment lined baking sheet and bake for 15 minutes, stirring every 5 minutes. Popcorn will harden as it cools. 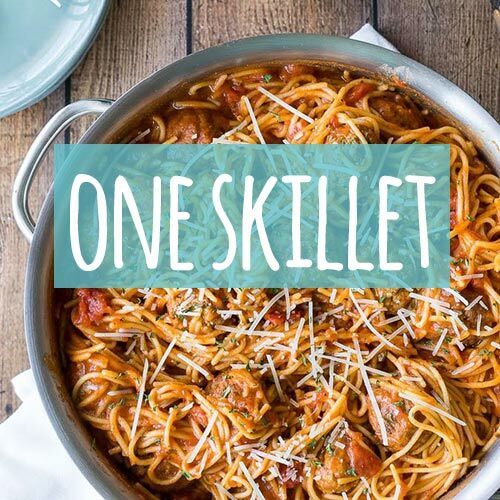 Break into pieces and pour into large bowl. 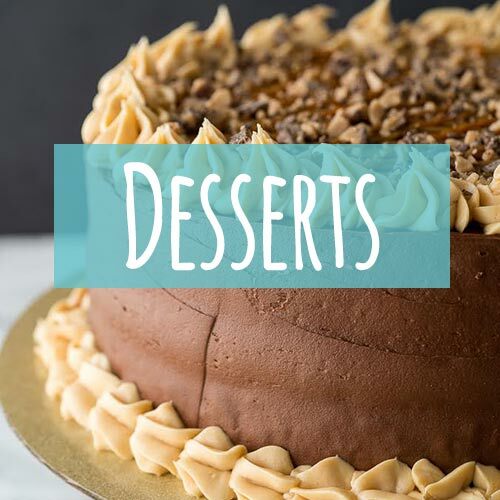 Repeat the process with the other flavored gelatins. Combine the fruit flavored popcorns. Store in an airtight container for up to 1 week. Disclaimer: I’ve teamed up with Big G Cereals to help promote their new fruitier Trix cereal. I’ve been compensated for my time, but as always, all thoughts and opinions stated here are my own.Thank you for supporting the brands that make I Wash You Dry possible. Oh my goodness ~ I will have to try this! It sounds delicious!!! Your instructions calls for corn syrup, your ingredients does not show corn syrup. Can you tell me if this is an error. Also what do I do with the honey? Sorry I am confused. Sorry Sandy! 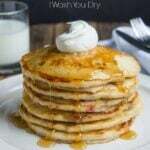 I had tried the recipe both ways, with corn syrup and honey. Both ways work, but I think I prefer the taste of the honey over the corn syrup. I’ve fixed this error in the recipe. Thanks for pointing it out to me!